Import Marine is the lower Chesapeake bay Yacht Thruster bow and stern thruster dealer. YACHT THRUSTER Bow and Stern thrusters by EXTURN are now available for the lower Chesapeake Bay area from IMPORT MARINE located in Norfolk,Virginia . 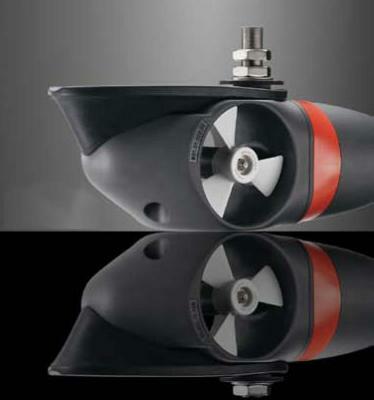 The YACHT THRUSTER bow and stern thruster is mountable onto nearly any boat of sizes between 6 and 20m independently of hull shape, type of drive and draught: sailboats; motorboats; houseboats; catamarans. YACHT THRUSTERS are offered in 6 different power levels to ensure the ideal solution for any boat type and size within this bandwidth. Essential parameters for the right power level choice are boat length, boat weight, hull shape, freeboard, operational area (coast or inland waters) and wind force. 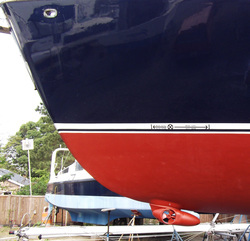 YACHT THRUSTER bow and stern thrusters are the simplest units to install with only 3 small holes and simple wireing required (NO large Tunnel needed). Length: 55cm (21.7 inch),Weight: 19kg (41.9 pounds),Diameter:16.5x16.5cm (6.5x6.5inch) Control: Via joystick or wireless remote, Seawater-resistant aluminum housing, Absolutely maintenance -free. All the rage at the Annapolis and Fort Lauderdale boat shows. Bow and stern thrusters are a practicle and popular steering aid to facilitate maneuvering in narrow ports or under difficult conditions. -Minimal noise, -Longer run time, -Installation in a day. Please fill out Contact Form for more information. If you would like a YACHT THRUSTER brochure please submit your mailing address.